I have had many experiences that have solidified for me why I chose nursing, and confirmed for me that I indeed made the right decision. One particular patient stands out in my mind as I reflect. Early in my nursing school career I had a patient who was suffering from a chronic wound that was infected and required packing. She was very nervous about how she was going to take care of her wound at home. She had no way to pay for her hospital stay, and she was being discharged before she really felt ready. I have to admit I was concerned for her to go home as well because her wound was on her coccyx and there was truly no way she could pack it and change the dressing on her own. She could not afford home care for someone to come and take care of her wound, and her daughter was overwhelmed by the task. I knew that if a solution was not found she would end up with a larger wound and back in the hospital. 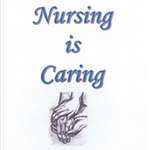 I worked to find resources for my patient to help her once she went home. I remember sharing with my instructor my concern and she too helped me to connect with social work and find a way to get the patient some form of home care. This situation and others much like it make me realize that I have been blessed with knowledge that the general population may not have, and it is my job to advocate for my patients and find solutions to problems that seem too complex for them to solve on their own. I was there for my patient that day. I listened compassionately to her concerns and did what I could to find her help.